Get Started on the Right Paw! Congratulations on your new puppy! We know how exciting it is to add an adorably cute new puppy to your family, and are here to ensure your puppy receives the proper training it needs to grow into a well-behaved adult. Not only does our puppy training program help you avoid frustrating and destructive puppy behaviors (like chewed shoes and constant messes), it’s also the best way to prevent future behavioral problems. 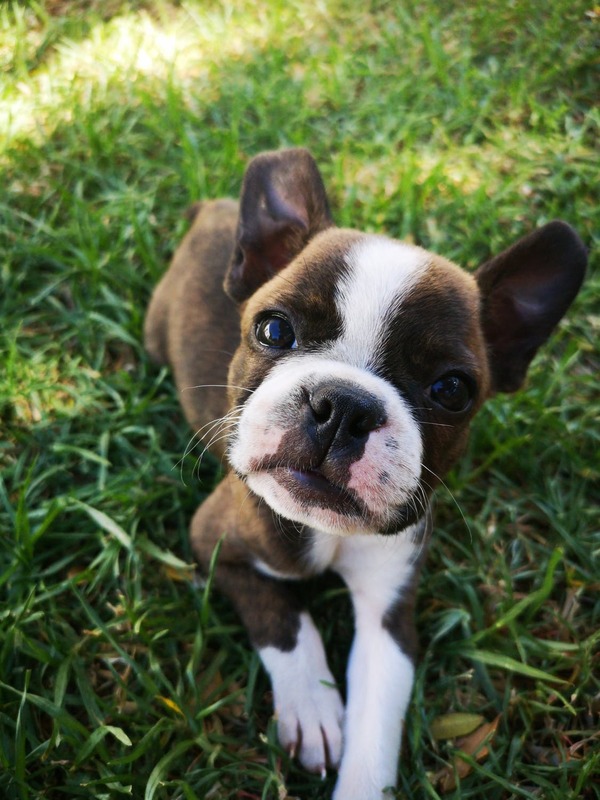 We offer a professional puppy training program designed to set your puppy up for success! Each program is personalized to address your puppy’s temperament and personality along with your unique lifestyle. Puppyology is designed to integrate the puppy into its new pack by setting up structure and rules that help the puppy understand where their place is in the pack, what is expected of them, and teaches them proper manners and appropriate behavior. This is a commitment based training package, so we will work with you and your puppy until your training goals are reached and all issues have been resolved. After completing in-home puppy training lessons, dogs progress to a real-world environment and practice their obedience and manners in settings full of distractions. Don’t forget, we cover the lifetime of your puppy with our commitment based training package! By getting started early with your puppy’s training, you’re helping your dog grow into a healthier, happier lifelong companion. Don’t wait! Give us a call at 510.646.9657 or get in touch via our contact page.